A mild, fruity olive oil from the finca "It Guinyent" Alcudia, Mallorca in a 500ml canister. The taste of ripe, freshly pressed olives is accompanied by the flavours of almond, walnut, mint, artichoke and fennel. The bottle packaging is very beneficial: it is hermetically sealed so that no light may penetrate and extremely convenient to store. Hence, none of the fresh aroma is lost. The beautifully designed box with its valued contents is always a welcomed gift! olives and solely by mechanical means. Oil, Vinegar & Pickles >> Extra Virgin Olive Oil - Oli de Mallorca D.O. 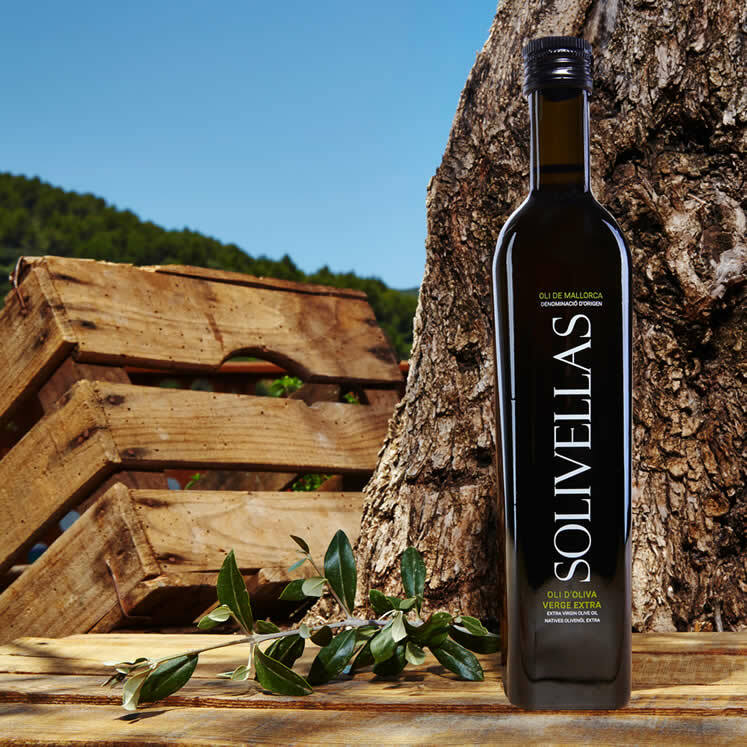 Suc de Cel Mallorquina olive oil Virgen extra D.O.